The Oz books form a book series that begins with The Wonderful Wizard of Oz, and that relates the "history" of the Land of Oz. 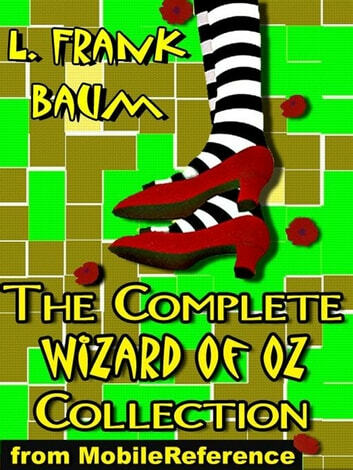 Oz was originally created by author L. Frank Baum, who went on to write fourteen Oz books. Although most of the Oz books are strictly adventures, Baum as well as many later Oz authors styled themselves as "Royal Historians" of Oz to emphasize that Oz is a genuine place. 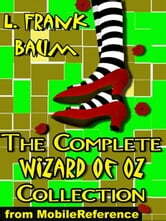 Later authors wrote 26 other "official" books after Baum&apos;s death. Many other authors have put their own twists on Oz, notably Gregory Maguire&apos;s revisionist Wicked. For more such books, please see List of Published Oz Apocrypha. Excerpted from Wikipedia, the free encyclopedia. One of the best children's books I've read. It's a tale of adventure and excitement in a bizarre land. Even without pictures, the book is visually stunning. A must-read for everyone. I belive that...... This was a great book series! I love the style of writing he uses. His books have alwaise inspired me! Thank you!